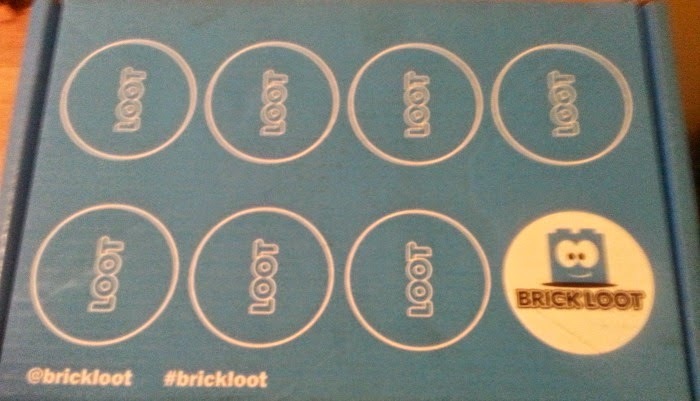 Brick Loot is a subscription box that offers Lego and Brick fans a great surprise every month. The box is filled with unique brick products that are compatible with Lego and offer custom builds. Each box will come with 4-8 items. My son Noah is 6 yrs old now and is very much a Lego fanatic. He enjoys building sets but also making his own creations, which are called moc. Inside this box was a lot of great items. 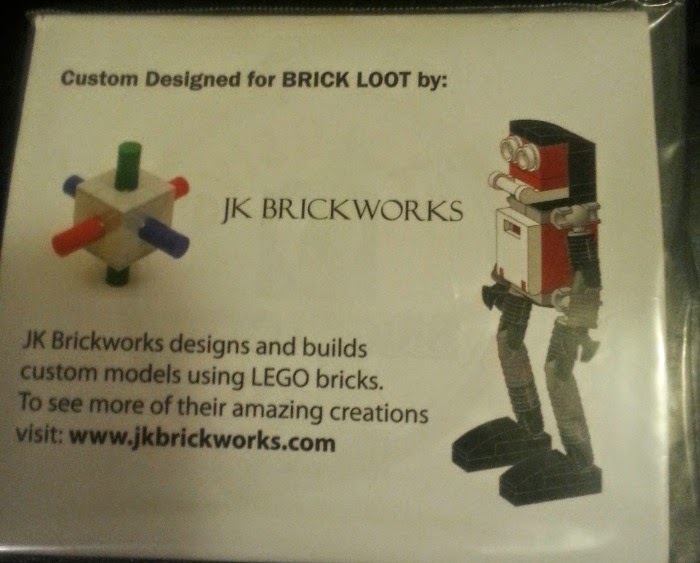 JK Brickworks designs and builds custom models using Lego bricks. Each box will come with one custom build. Brick Forge comes out with some really cool weapons and accessories for mini figures. One can never have too many mini figures. Nano Block is pretty neat but not quite for my son yet. My husband and I thought they were pretty cool. OYO creates buildable mini-figures that are sports related. This was cute even for those are not sports fans. 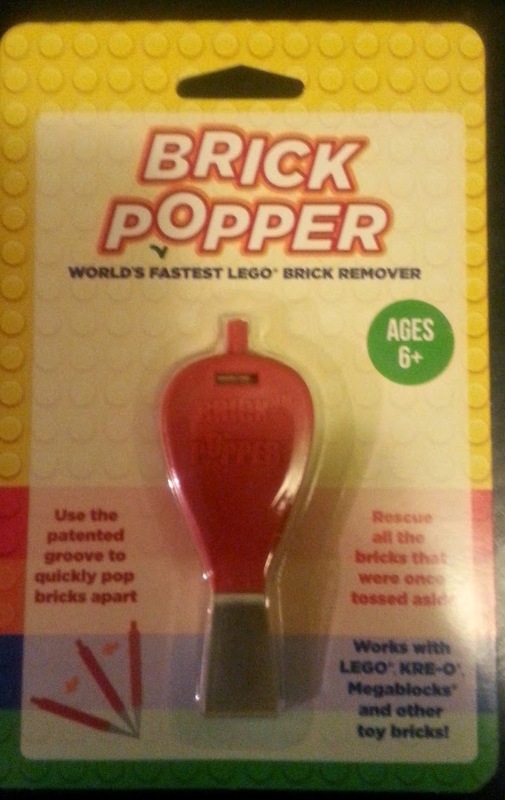 My personal favorite was the Brick Popper. This comes in handy when my son can't take something apart, and neither can I. I have used tweezers in the past to get things apart. Liteup Blocks are pretty neat too. You can mix the bricks in to add some light up fun to your designs. Overall I think this is one of the best subscription boxes out there. Our family loves it. 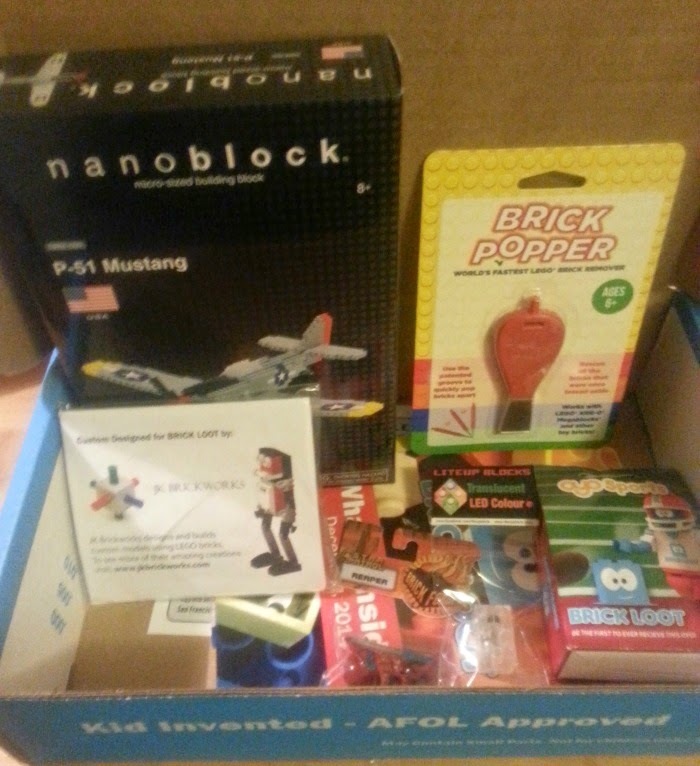 We have used one other subscription box that was geared towards boys and this blows it out of the water. The price is good when thinking of how much Lego and brick items cost these days. Use "barefoot" for 10% off any subscription. This code expires 12/31/14. Do you love Lego and brick toys? What would you create?